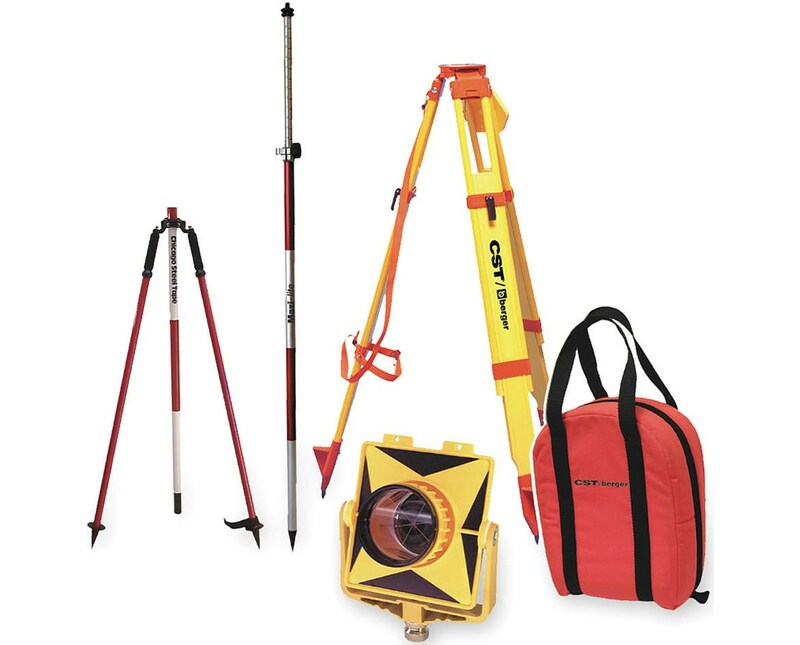 Set up your total station with the sturdy tripod, designed with solid maple legs and fiberglass dowels filled with inner core in order to give you years of trustworthy service. The polystyrene inner core eliminates swelling and shrinking of the tripod's dowels, ensuring that your tripod remains level, thereby maintaining accurate measurements. You can also choose to use only the Maxi-Lite Prism Pole, which weighs only 2.1 pounds and extends up to 8 feet long, allowing you to place your prism at elevated or awkward locations. Separated into two sections for easy transport, the poles are easily connected and secured with a twist-lock mechanism. The soft rubber clamp makes it easy to adjust the length by tightening or loosening the non-slipping clamping system, and the permanent tenths and metric gradations allow you to place the prism at exactly the right height every time. Use the precise circular leveling vial to ensure your prism is leveled properly, and then securely affix the pole in the ground with the replaceable steel point. You'll be sure to get plenty of use out of this durable prism pole, which is crafted of high-grade lightweight aircraft aluminum, and is double the tensile strength of standard prism poles. For smaller jobs use the Mini Stake-Out Prism/Pole System. The prism pole which is just under 4 feet in length, is separated into four anodized sections each of which is 0.51 inches in diameter. Next attach the mini stake-out prism, which boasts 0/-1.18 inches (30mm) offset, and is held by a tilting aluminum holder. Ensure your prism is correctly placed via the 30 minute circular vial is also shielded by the holder, and encased in metal housing, and the plumb bob with hardened replaceable steel points. Your Prism/Pole System has a 1-year manufacturer's warranty as well. 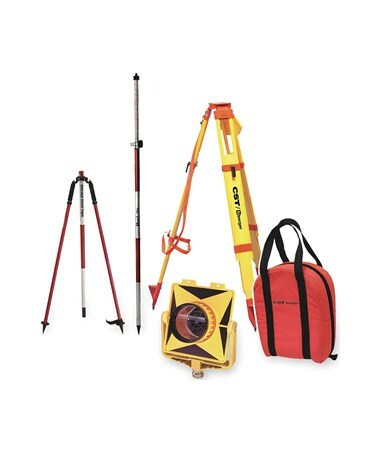 Wherever you go, you'll find that the Total Station Starter Kit makes it easy to get started taking accurate, precise measurements with your new total station. Maxi-Lite prism pole extends to 8 feet long and weighs only 2.1 lbs.